LeoVegas leads the way when it comes to mobile casino gaming, while attractive welcome package and amazing selection of live dealer tables are some of the other things you will quickly learn to appreciate. Read our in-depth LeoVegas casino review below and if you like what you hear, then click here to visit the website now and secure a €700 bonus. Having been online for more than 5 years, Leo Vegas has had plenty of time to demonstrate their quality. How successful they’ve been in making their dream of „Nr. 1 in mobile gaming“ come true, is evident when you learn about industry acknowledgments such as the title of “Mobile Operator of the Year 2016” EGR Nordic Awards, “Casino Operator of the Year 2016” IGA at the Gaming Intelligence Awards, and “Best Innovation in Mobile and Tablet” EGR Innovation Awards. Consistently delivering a substantial and impeccable gaming experience across various devices, Leo Vegas is confidently claiming its position among the best online casinos out there. Two highly reputable regulatory bodies, the MGA and UKGC, testify to the safety and fairness of this gaming venue, and further assurance is offered by a 2048-bit SSL certificate which guarantees the highest level of security. If you happen to be a UK resident, select “Casino bonus offer” on sign-up and make a deposit of £10, £20, £50 or £100 to get a 100% match bonus up to £100 with a 14-day expiry. 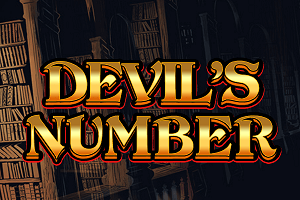 You can claim a total of four deposit bonuses plus bonus spins on top. If you deposit under £50, you are granted 10 bonus spins, while deposits of £50 or over earn you 25 bonus spins. Spins are awarded on Book of Dead only and you have to use them within 3 days. 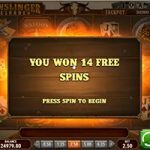 Winnings from bonus spins are paid in cash. A 35x wagering requirement applies to deposit bonuses and it has to be met within 30 days from deposit. Eligibility requirements apply. Play Responsibly. Full T&C’s Apply. 18+. Players from Andorra, Gibraltar, Malta, Iceland, Liechtenstein, Monaco and Luxembourg can claim up to €700 in bonuses on their first four deposits. The first deposit can be paired with a €50 welcome bonus, on the second deposit you can claim up to €150 while on your third deposit you can grab up to €200. 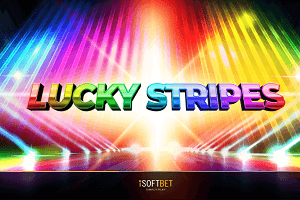 Finally, on your fourth deposit, you will get up to €300 welcome bonus. A minimum deposit required is €10, deposits made via Skrill or Neteller are not eligible and wagering requirements are set at 35x. As for Swedish players, they can use a 2-tier welcome package on the first deposit. 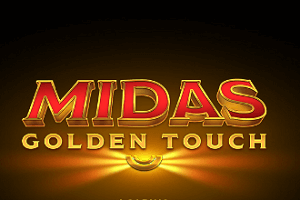 It can be a 100% match bonus up to 1,000 SEK plus 50 free spins or a 200% match bonus up to 4,000 SEK plus 100 free spins on top if they make a deposit between 1,001 and 2,000 SEK. Wagering requirements are set at 35x and free spins can be played on Starburst, Mega Fortune Dreams, Gonzo’s Quest, Dazzle Me and Swipe & Roll. If they prefer live dealer games, Swedish players can make use of a 100% match bonus up to 1,000 or a 200% match bonus up to 4,000 SEK when their first deposit is between 1,001 and 2,000 SEK. 18+ år – Regler & villkor gäller, stodlinjen.se. Vänligen se fullständiga Regler och Villkor. The Live Casino welcome bonus is subject to 75x wagering requirements. A tailored-made welcome is provided to fans of live gaming coming from the UK, offering them 100% up to €250 where playing live games counts for 100%. The minimum qualifying deposit is €10, and bonus will have to be wagered 70x before you can make a withdrawal. To clarify: table games, Video Pokers and Live Games contribute 100%, while betting on slots and other games won’t help you out at all. Once again, deposits made via Skrill or Neteller are not eligible. „A VIP Experience fit for a King“ comes in a form of perks such as personal payment and withdrawal service, exclusive bonuses, and a monthly VIP prize draw which delivers prizes such as latest Apple gadgets and invitations to exclusive events. Functioning pretty much like a standard comp point scheme, every real money bet you place contributes to your VIP status and gives you access to respective benefits. As far as other promotions go, the majority of those presented on the Leo Vegas website benefit players betting on sports. This does not mean casino enthusiasts won’t get to enjoy other freebies. Just make sure to opt in to emails and text messages from the Casino and they will inform you about special offers valid for specific time periods. One thing you might find difficult when hanging out at Leo Vegas is choosing which game to play. Why? Firstly, because there are more than 750 to pick from, and secondly because the list of contributing developers counts more than 30. Impressed yet? 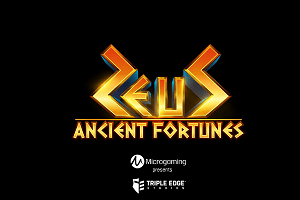 NetEnt, Microgaming, NextGen, Playtech, Yggdrasil, Play’n Go, IGT, and many, many others, deliver their best and newest. All of their games are available in Flash (no downloads) and can be tested without having to invest any cash. Starburst, Gonzo’s Quest, Game of Thrones, Hugo, Book of Dead, Wild Toro, Vikings Go Berzerk and Big Bad Wolf are only a few highly popular titles. We then have new entries represented by Sakura Fortune featuring Quickspin’s unique Achievements Engine. Viking Runecraft Slot by Play’n Go plays on a 7×7 grid of symbols, whereas Panda Pow from Lightning Games, Power Plant by Yggdrasil, and quite a few of the other very recently released games complete the list. Close to €5 million jackpot is waiting to be won while playing Hall of Gods, and among 25 other progressives, you’ll also find the popular Arabian Nights, Genie Jackpots and Mega Fortune. 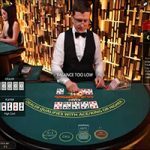 Having entered Live Casino section, I had to count three times because it seemed too good to be true – 66 live games on offer! 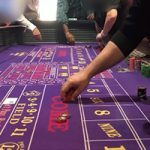 It really doesn’t matter which is your favourite, there is a great selection to pick from when it comes to Roulette, Blackjack, Poker and Baccarat. 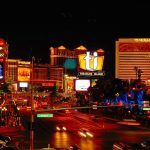 To be honest, I thought Leo Vegas was exaggerating when they claimed „the largest selection of Live Roulette tables in the world – brought to you from over 10 different destinations and in 7 languages“. They didn’t. 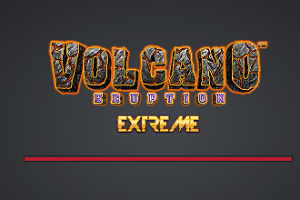 Among 43 (yes, forty three) Roulette games you’ll find Speed Roulette, Double Ball, Immersive, Dual Play and Auto from Evolution Gaming, Golden Ball, Ra Roulette, and several other variants from Extreme Gaming, Ezugi games streamed from Latin, Eastern Europe, Baltic and Belgium studios, Double Wheel and Turbo by Authentic Gaming, and quite a few of NetEnt products. 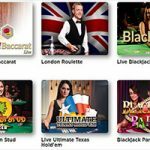 Following this fantastic selection of Roulette games, Leo Vegas offers a dozen of live Blackjack tables including the exclusive Celebrity Blackjack Party and Leo Vegas Blackjack, as well as Speed Baccarat, Baccarat Squeeze and Control Squeeze, and finally, Live Casino Hold’em, Ultimate Texas Hold’em and Three Card Poker. Among all those mentioned above, there are 10 tables catering exclusively to Roulette and Blackjack VIP players. LeoVegas Chambre Séparée offers a customised Live Blackjack and Roulette experience with personalised promotions. I switch to an Android tablet and, oh my god, there are close to 600 games to play on the go! I need never go back home again! And it’s not just slots, which is so often the case, but also about 40 table games and 20 live ones. Mobile site looks great, it’s easy to use, has all the functionalities as the desktop version, and games load very fast (the Casino claims to deliver „the fastest page loading times on the planet“). 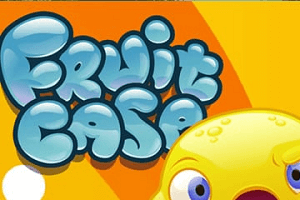 You’ll get to access this mobile gaming paradise via iPhone, iPad, Android smartphones and tablets or a Windows phone, simply by using your browser. Those who prefer using apps are in luck; Leo Vegas also provides dedicated ones for iOS and Android mobile devices. Btw, did you know this operator set a world record with a mobile win of €7,900,000? While unfortunately missing mobile payment methods, Leo Vegas makes most of the other popular ones available for making deposits and withdrawals. You’ll be able to choose between credit and debit cards, E-wallets, Pre-paid cards and Bank Transfer, and pay in EUR, GBP, AUD, CAD, CZK, NOK, DKK or SEK. 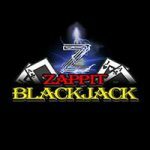 The Casino will process your cash-out request within a decent time period of 24 hours, and will not charge any fees for up to 3 withdrawals per 30 days. Should you ask for more than that, you’ll have to pay €3 each time. The team has put together a pretty comprehensive FAQ list which will probably answer most of your questions. Should it fail to do so, feel free to seek assistance from the professional and knowledgeable support team standing by 24/7. The fastest way to get help is via Live Chat or phone, and UK gamers additionally benefit from a toll-free number. If your problem doesn’t require an immediate solution, send an email which will normally be answered within 24 hours. Based on the Pros & Cons listed above, you can probably tell Casino Bloke was smitten. 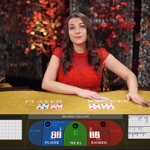 With hundreds of games available on both desktop and mobile devices, including an impressive live casino assortment, a list of 30+ developers, and an extremely generous welcome package, it’s hard to find something wrong with gaming venue. 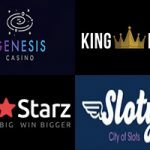 Add to that a website which is dead easy to use, opportunity to collect cash within 24 hours and round-the-clock support, and there’s no doubt Leo Vegas deserves to be considered one of the best online gaming venues in the world. If they threw in a decent selection of Video Pokers and made their bonuses available to a larger gamers’ community, we’d even dare label them the best.